One of the inevitable traits of aging and one of the most undesirable signs that you are getting older is the development of facial wrinkles. While wrinkles may be a sign of wisdom for some, most people view wrinkles as an unwanted reminder of the passing days and a deterrent to youthful skin. While facial creams and serums designed to minimize wrinkles can be potentially effective short-term solutions to fighting facial lines, botox injections have emerged as a safe, fast, and effective way to reduce the appearance of wrinkles. At Rejuvenation Medi-Spa, we offer our botox treatment to help you fight against unwanted signs of aging. Botox injections are essentially a skin care treatment that paralyzes the muscles in your face to prevent them from sagging and creating lines caused by facial expressions. As Maryland’s Top Rated Local® skin care facility, you can trust Rejuvenation Medi-Spa to carefully and safely perform botox injections that will produce results. Typically, you will see results in the days immediately following your botox treatment, but on some occasions it will take as many as two weeks to see definitive results. 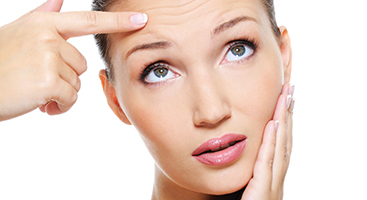 With our botox treatment, you can fight wrinkles and preserve your youthful beauty. Get started erasing your wrinkles today when you make a skin clinic appointment at either our Prince Frederick or La Plata locations. Schedule an appointment online, or call Rejuvenation Medi-Spa in Maryland today at 443-291-7302. Don’t forget to check out our monthly medspa treatment promotions to see how you can save on botox injections today!